Project messages are used to communicate and make comments between groups working on the same project. These messages can be sent through either the Authoring or Build & Share panels. 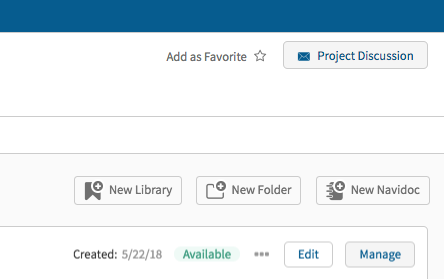 You must then go into a project you want to have a discussion about and click the ‘Project Discussion’ button in upper righthand corner. You will then have started a new message thread about that project if one hasn’t already been started.